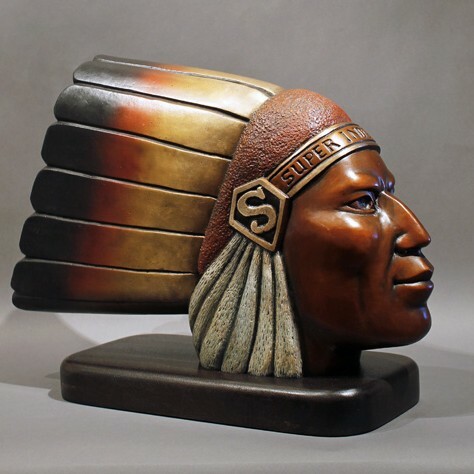 David Bradley is known for his paintings and sculptures that often convey a political message concerning Native Americans. 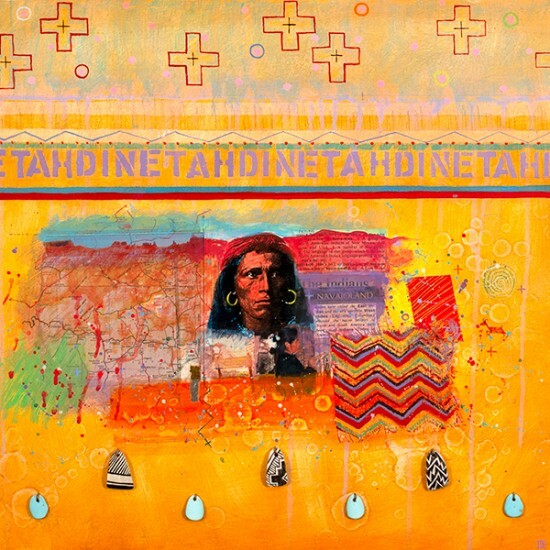 He has played a significant role not only in the advancement of Indian art, but also in the struggle for Native American rights. 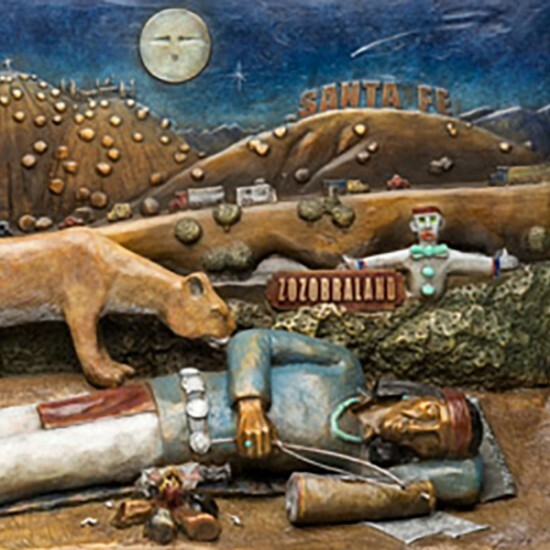 He has been able to create a unique narrative folk style in his art, and although many of his pieces are overtly political, he does cover a wide range of topics and artistic styles. Bradley often parodies art historical or "pop culture" icons, such as the Mona Lisa, Whistler's Mother, and American Gothic. 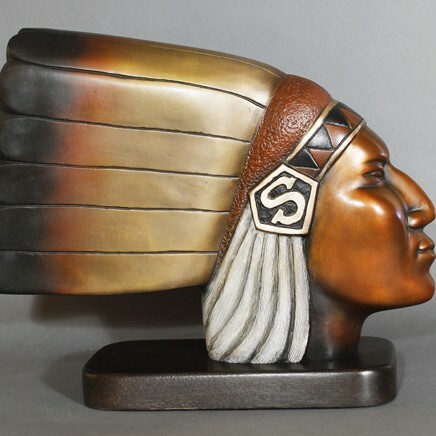 the Southwest and attended the Institute of American Indian Arts in Santa Fe, where he graduated first in his class with a Bachelor’s degree in Fine Arts. He also studied at the University of Arizona and the College of Santa Fe. 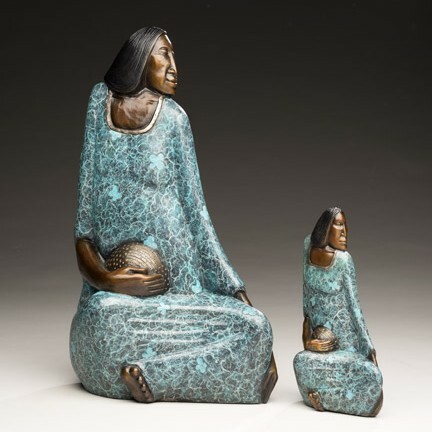 He recently returned to the Institute of American Indian Arts as a guest artist and instructor. 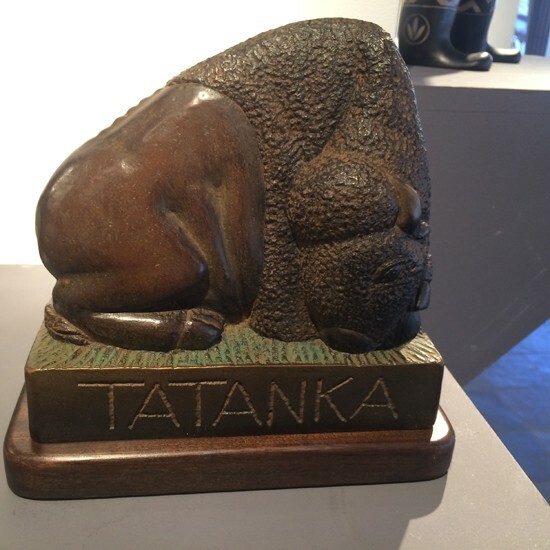 artists to stay away from the mass commercialized production of Native American artifacts. 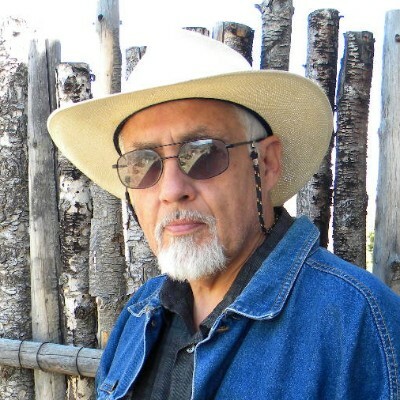 As a member of the Minnesota Chippewa Tribe, Bradley strongly believes that Indians need to reclaim their own identity and work politically to assure they will survive as a distinct culture. He fights for this both politically and artistically. 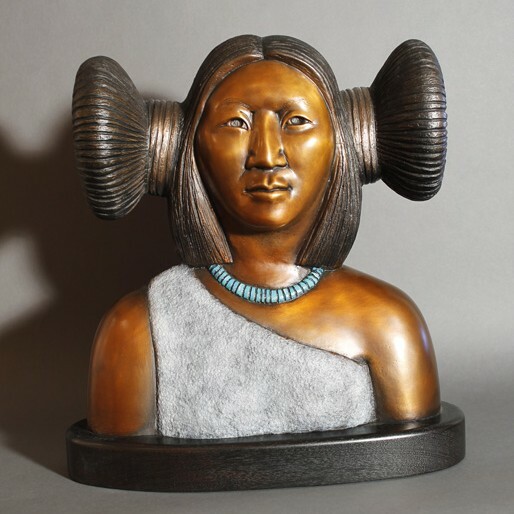 Bradley has received numerous awards and fellowships, including recognition as the first artist to win the top awards in both the Fine Art categories of painting and sculpture at the Santa Fe Indian Market. 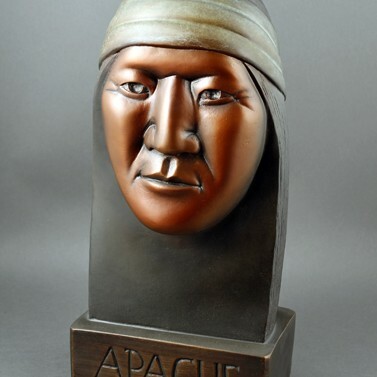 He was also awarded the Southwestern Association of Indian Art Fellowship in 1980 and the Minnesota Chippewa Art Award for Merit in Art in 1979, among several others. 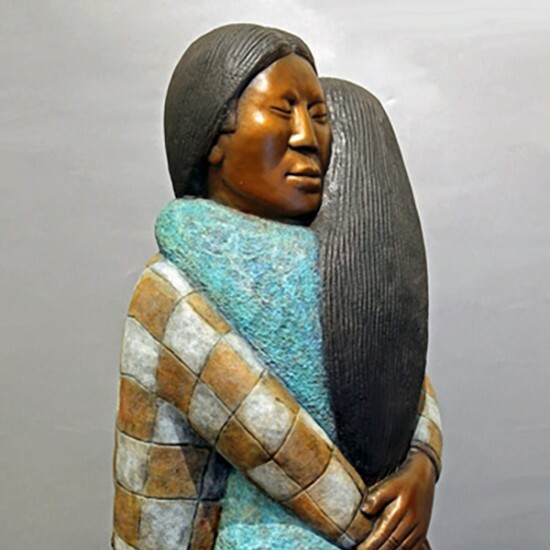 Bradley has exhibited his work throughout the nation, including the National Museum of the American Indian in Washington D.C., the Plains Indian Museum in Wyoming, the Heard Museum in Arizona, the Museum of Fine Arts and the Museum of Indian Arts and Cultures both in New Mexico, the Plains Art Museum in South Dakota, the Southwest Museum in California, the North Dakota Museum of Art in North Dakota, the Minneapolis Institute of Arts in Minnesota, and the American Indian Art Invitational in Lima, Peru, as well as, many other reputable national and international public and private collections.